As race day dawned for Air Asia competition winners Amy and Jeremy, the excitement of earlier adventures paled in comparison to what was in store on Sunday. After sourcing breakfast and a ride to the track, the F1 über fans set about tracking down more of the sports unsung heroes. 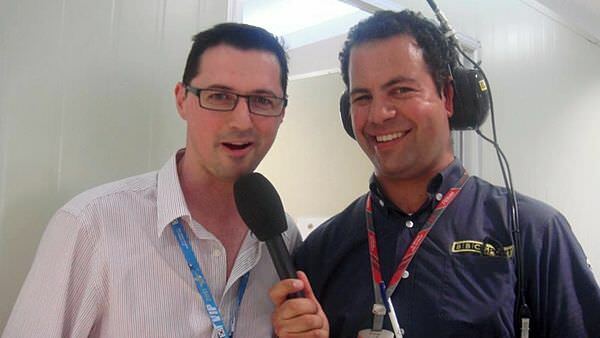 Having met BBC reporter Lee McKenzie on Saturday, Jeremy sought out the best man in the F1 pitlane, Ted Kravitz. No question, that picture has made my whole year. 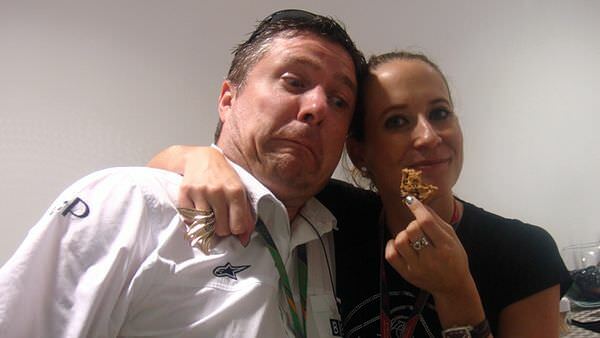 More luscious Team Lotus catering was called for, before the pair settled down to enjoy the race from the team's hospitality building, in the company of none other than Heikki Kovalainen's girlfriend Catherine Hyde. She's lovely. A picture may paint a thousand words, but I for one am at loss to explain that. A quick sprint to the podium following the end of the race saw the duo hanging over the rail alongside the McLaren team. Getting up close and personal with Formula One certainly has it's drawbacks, though, when Lewis Hamilton's descending celebratory champagne bottle missed by mere inches. 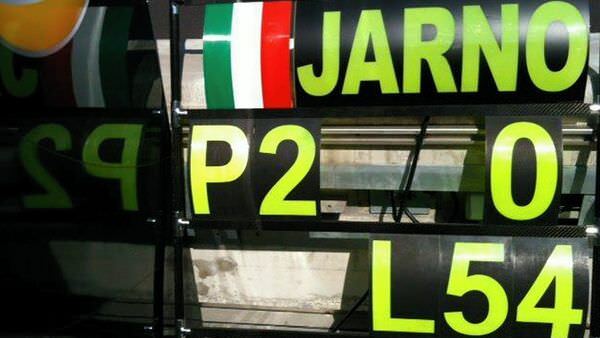 A return to the Lotus garage was in order, and while the team scored rather impressive 14th and 17th place finishes, I can't help feel Jarno Trulli's pit board appears a little over-optimistic. Back in hospitality, another familiar face was to be found. The only man in F1 more awesome than Mr Kravitz? It has to be 5Live commentator David Croft. That chap has a memory to die for, he immediately recognised Amy after once meeting her in a cafe Melbourne, way back in 2010. No really, he did. With paddock time running short and teams, drivers and other personnel heading for the airport, there was just a brief moment to congratulate Heikki on his hard earned 14th place finish (beating both Saubers on merit in the process). It's going to take a day or two to complete the return trip home, but with any luck we'll get to hear even more about the adventures in Korea. 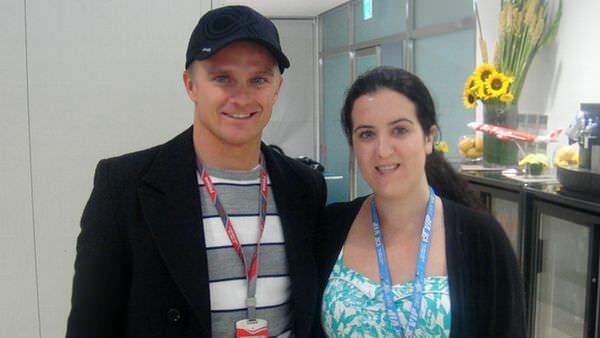 You can follow Amy on Twitter in the meantime, and be sure to check back soon for the lowdown on life as an F1 über fan. Team Lotus have a fantastic thing going with this competition, here's hoping they do more next season. We loved discovering another side of Formula 1. Team Lotus sound chuffed too. In every sense of the word, 'lucky' Amy Fulton.